Have a friend who is car mad? Why not treat them to one of our gift vouchers? 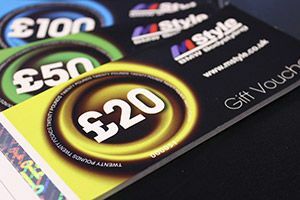 Available to purchase in-store or via phone, vouchers can start from as little as £10 up to a value that you so choose. We can even send with a personalised message to give it that extra special touch! So, for that automotive enthusiast who you always struggle to buy for, they can now treat themselves to what they want from our workshop – albeit towards the cost of parts, painting or labour. Want to know the best bit? They have a full 12 months to redeem!